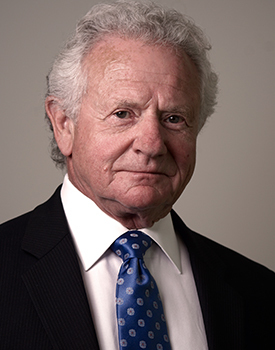 The Honourable Joe E. Hershfield is an arbitrator and mediator with ADR Chambers. Joe retired early after 16 years as a judge of the Tax Court of Canada. He practised law in Manitoba for 15 years and was a tenured Associate Professor at the University of Manitoba Law School for 9 years. Joe has expertise in wills and trusts, succession, estate planning, business structures, corporate law with a focus on corporate reorganizations and acquisitions, cross-border transactions, securities, ownership structures (including partnerships, shareholders, syndicates, joint ventures and business and property co-ownership interests), contracts and commercial transactions, and senior housing. Several of these areas Joe feels lend themselves particularly well to mediation as a forum to resolve disputes (for example, disputes in the administration of estates and trusts or disputes amongst members of the variety of ownership structures employed by the parties). Having acted as an executor and trustee, and, as a partner in a law firm, he had first-hand experience dealing with conflicting interests in such areas as well as in many others. As a judge of a Superior Court, Joe had access to courses offered by the National Judicial Institute that helped train him on the skills of running settlement conferences. Joe’s experience allowed him to use such conferences as a means to successfully settle cases or give rise to consent judgments. Joe earned his B.Sc. and LL.B. from the University of Manitoba and his LL.M. from the University of Chicago. He returned to the University of Manitoba as a tenured Associate Professor Faculty of Law. After leaving there, he was appointed as Queen’s Counsel and practiced law as a partner at the firm of Taylor McCaffrey until appointed to the Tax Court of Canada in 2000. Since 1972, he has worked with the Federal Government as an advisor on numerous occasions including most recently (May 2017-May 2018) as an advisor to the Federal Department of Finance. Joe’s community involvement over the years have included being an executive member of the Winnipeg Chamber of Commerce, president of Glendale Golf and Country Club Course, a member of the national Jewish National Fund (JNF) board, and a board member of his local temple. Joe is a member of the Toronto Commercial Arbitration Society (TCAS), the ADR Institute of Ontario, the ADR Institute of Canada, and an honorary member of The Society of Trust and Estate Practitioners (STEP). In addition to his membership Joe serves on the board of the ADR Institute of Ontario. He operates out of the Toronto office of ADR Chambers and is willing to travel.